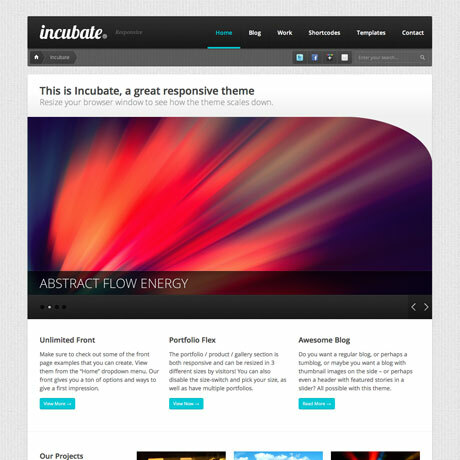 Keep your portfolio right in your pocket with Incubate Premium WordPress Theme – a minimalist responsive portfolio theme that packs a punch. This flexible premium theme gives you tons of options to customize your front page, header, portfolio, blog and other page templates. Sliders, shortcodes, post formats, widgets and all the other design elements work seamlessly and look beautiful even on handheld devices. You’ll never miss an opportunity to showcase your work to your clients even if you do forget your laptop. 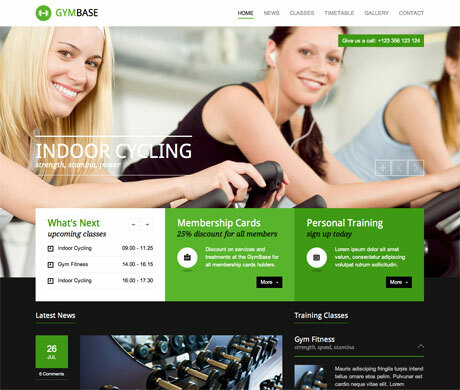 Promote your health and fitness business with Gymbase Premium WordPress Theme. This fully responsive theme is the perfect tool to set up a site that will encourage people to be more proactive regarding their health. The built-in custom post types (classes, weekdays, trainers, and gallery) make it easy for you to set up all the information your clients need to know about starting their own path to fitness. The timetable feature is one of the strongest feature of this theme. Gym members and potential clients can easily browse through class schedules or available trainers. Because it is responsive, whether they’re stuck in traffic, on the train, waiting for the kids, or doing grocery, they can check what classes to go to or if their trainer is available. Super convenient. Shopping has never been this convenient before. Imagine having a full-scale store right in your bag or pocket. You can with Camp Premium WordPress Theme – a powerful responsive eCommerce theme you can use to set up your own online store. What’s great about the trend towards responsiveness is that you can bring the same desktop or laptop shopping experience to your handheld device. Camp with its WooCommerce enabled features gives you that same experience. Your loyal customers will love the convenience of surfing and shopping wherever they are. Camp + Cellphone + Credit card = Cash. 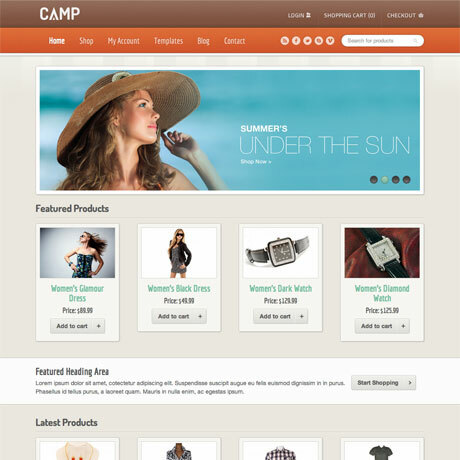 Check out Camp Premium WordPress Theme and see what it can do for your online business. 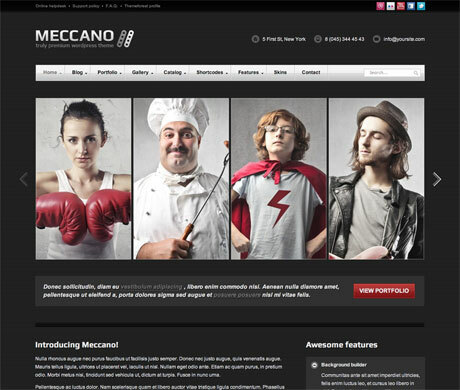 Set your business apart from the rest with Meccano Premium WordPress Theme. This beautifully designed responsive WordPress theme gives you 8 ready preset business layouts to choose from enabling you to set up your website in a matter of minutes. It’s like having 8 themes in one. Because it is also fully responsive you can be assured your website will look awesome on any handheld device. First Impression is a very unique resume theme for the professional seeking a job or looking for clients. 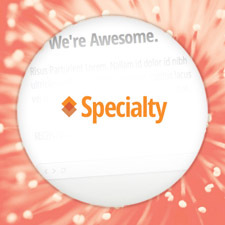 The theme literally unveils your credentials to the world using a unique vertical slider that reveals your work experience, education, skills and portfolio like no other theme out in the market. 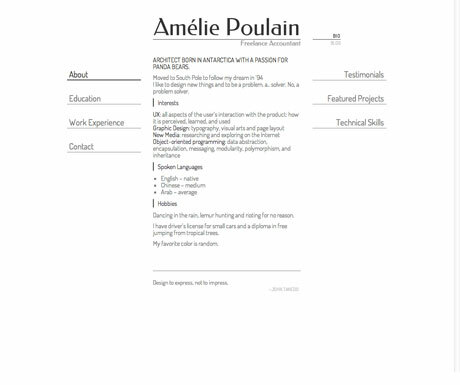 Visitors can view your resume pages ala slideshow. 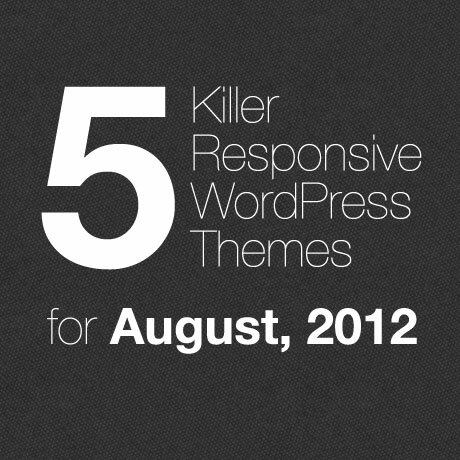 This theme is fully responsive and adapts so cleverly to your browser’s screen size. Try it out. 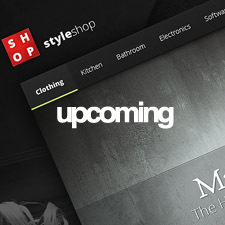 As the developer says, this theme is designed to express and not to impress. Don’t be like the rest. Stand out and make a lasting first impression with First Impression Premium WordPress Theme. ohh I really like the camp theme. I have been meaning to switch up my theme but keep finding ones i lile and it is so hard to choose.